We do not produce a price list because wood veneer prices change so frequently a price list would quickly become obsolete. As for a catalogue most of what we have available can be seen on our website. In the main these would be considered special orders which can obtained subject to availability and a 4 working day lead-time. Special orders are subject to a non stock items surcharge of £15.00 per order for goods with a value less than £150.00. after which you can iron on the wood veneer of your choice with the iron at its hottest setting. Just tried your glue film for the first time, I have a bubble in the middle of my veneer, if I heat it again will the glue melt again? Is HOT/MLT/730 suitable to adhere a thin walnut veneer to beech plywood for a car dashboard and is there likely to be any adhesive bleed though to the veneer face.? Re HOT/MLT/730 If I damage the veneer or it splits when applied, can I use heat to remove the veneer and can I remove the glue to re-use the base article? If HOT/MLT/730 is used initially, and you wish to subsequently remove the veneer, simply reheat the surface and very carefully peel off the unwanted veneer. At this point the existing veneer will be very dry making it even more fragile than normal. It is imperative to ensure that the section on which you are working is heated at all times as hot melt cools fairly quickly. Ensure that there are no chips of old veneer or debris still attached to the glue. Once satisfied, repeat the application procedure from the start. There is no reason to remove all the old HOT/MLT/730 as this will be melted in with the new film and subsequently levelled when affixing your new veneer. Personally I would favour a contact adhesive as opposed to glue film if I were trying this procedure. Glue film, like all wood glues, relies in the main by diffusing into the grain of both surfaces and therefore creating a bond. Could you please send me a small sample of walnut wood veneer. unless taken from a section which shows an average pattern. the wastage this would cause is obviously prohibitive. On our website you will find scanned pictures of various wood veneers and wood grain types. 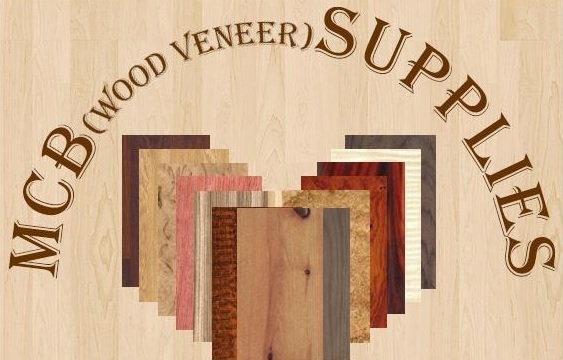 I would like to order one sheet of the mahogany wood veneer as per attached e-mail. When you receive our pro-forma Email invoice, details of how to pay are included. If you require a specific width or length it would be advisable to state this in any communication. We will then endeavour to supply as near to your requirements as possible. Could you please tell me what size your wood veneer sheets are. e.g.. Yew would not be over 250mm wide whereas mahogany could be as wide as 600mm. If you wish we can obtain them subject to availability and a 4 working day lead-time. Special orders are subject to a non stock items surcharge of £20.00 per order for quantities with a goods value of less than £150.00. To give you an idea on our carriage charges. We use the cheapest means possible, usually Royal Mail/Carrier. If the goods ordered weigh more than 2kg packed they will be sent via 1-2 working day carrier. therefore any wood veneers that we supply would be in their natural condition, i.e. would need finishing. Burrs especially due to there undulating surface would be impossible to polish until they are fixed to a flat substrate.